Given my history of meal mishaps, small kitchen fires and fondue party fails, I'm an unlikely candidate for trying to sell others on the blessings of holiday gatherings. Nonetheless, I intend to try my best to convince you to invite people into your home to partake at your table. My parents owned and operated two restaurants while I was growing up, but I picked up little in the way of practical skills. In fact, I was once fired over my poor potato peeling practices. It may, or may not have had something to do with a tenuous mother-daughter relationship at the time. It's hard to say. My mother is a gourmet cook.When I was dating my husband, I think that gave him the wrong idea, as I am decidedly not. I am, however, enthusiastic about all endeavors that have to do with people and hospitality. And in the world of adults, that ends up requiring the care and feeding of people. So while my mom sets a lovely table with a delicious spread of food, while I set off smoke alarms preparing things that turn out nothing like the pictures posted on Pinterest, we have one thing in common — a love of making people feel warm and welcome. This time of year, all the sage advice suggests saying "no" more often so we can focus on saying "yes" to "what really matters." So, what, exactly, is it that really matters? In my mind, there isn't much that rates above taking care of one another, and one significant way to do that is to extend an invitation to share a meal. That is a concrete way to meet a basic human need of connection and a gracious way to live out love. No gourmet cooking is required to be gracious and welcoming. I've invited plenty of people to my house with these words: "Hey, I'm trying a new recipe and it might be totally gross. Want to come? Bring some bread for back up." Sometimes we have a good laugh, served with a lot of bread and butter, as we eye the smoldering dish I just proved wasn't fail-proof after all. And we nourish something more than our bellies in those moments. Showing up for each other and being remembered nourishes our spirits. I think that is a gift worth spreading, and savoring. I have had friends and relatives who discouraged me from hosting such things due to my stained carpets and chair cushions. But here's the thing: We don't have that kind of time, you guys. If you have friends and relatives who care more about the shape of your chairs and carpets than they do the spirit of your company, forgive them and move on. If it's you holding back from inviting people into your home because of peeling paint or mis-matched furniture, consider getting off the sidelines of your life. It's a short life, this one, so gather in — and with — grace. In my years of hosting people, despite all the obvious reasons not to, I've learned a few things that might be helpful to others lacking the Kelly Ripaesque picture-perfect life. First, you have to start somewhere. So, just do it. An easy dinner to host is a potato bar. But the first time I had a large group of people over for dinner, I didn't realize how long it takes to cook potatoes. I must say, we were pretty hungry by the time the pizza arrived. Ergo, my first tip is to always have a back-up plan. It'll free you up to try new things without starving your friends out. (You know you're supposed to poke holes in potatoes before baking them right? Yeah, me too). Also, pay attention to words in recipes like "meanwhile" and "stir constantly." If something requires constant stirring, it's too needy and you should probably break up and pick something else to serve. Another essential piece of advice: People often ask, "What can I bring?" Let them bring something. Please. And don't just say, "Oh, whatever you want." Be specific. Say, "How about something for dessert?" Or say, "Salad would be great." And you might add, "Bring your own bread." Beverages work for that, too. Whatever your main dish ends up looking like, put it on the table with no apologies. Think of it as a manners experiment. Should you fall for the old lie that lasagna is easy to make, you might end up with oddly curled noodles on the top layer, because nowhere in the instructions does it say there should be no noodles on that layer. Not to worry. Just flip it upside down, add a topping of cheese and sprinkle with some sprigs of parsley. Sprigs of any herb make things look more appetizing. And they suggest you know what you're doing. It's also good to remember that cheese makes everything better. Speaking of cheese, keep a wheel of brie in your fridge. Part of being hospitable is being able to serve up some food on short notice, without making anyone feel awkward. Add some crushed nuts and brown sugar on top of the brie, pop it in the oven and you'll have an amazing appetizer. Just add bread. Or crackers. Or spoons. Oh, and one last tip: Never use the oven to store anything. Just don't. Even if you tell everyone else in the house that's what you're doing, the fire will always be your fault. I know it's amazing that I haven't been hired to write for Better Homes and Gardens. But lucky for us, that leaves me more time to put all this advice into my next book: Not like the Picture. Finally, remember that mealtime mishaps make for great memories. Like the time my gourmet cook mom helped host a pig roast back in the early 70s. I'm not sure how they remember it so vividly, since members of this gathering of Slovak immigrants were in high spirits, so to speak, and on empty stomachs. Yet the stories of the night, and the pig that didn't cook, haver persisted for decades. One day we will laugh about the time I set the lentils on fire while trying to approximate a candle display I found on Pinterest. Actually, I already am. For my next trick, stop by some time. And bring the bread. To “like me” like me, find me on Facebook at Nathalie’s Notes, on Twitter or on Pinterest. I’m a prolific pinner on deadline. Just sayin’. Also? If you want to make a writer friend smile, please subscribe below AND if you liked this post – share it with your friends! I found another entry for my kitchen memoir Not like the Picture this weekend. I am working on a personal life improvement project. One of the concepts I’m working with is how to stop complaining about the everyday things that must be done whether I’m cheerful about them or not, things like making meals for people three times a day, every day. I’ve mentioned before that I kind of hate dinner and the fact that it comes around every. single. night. But I don’t hate dinner, really. And I certainly love the people I make meals for … so it’s actually a matter of figuring out how to streamline the whole process so I’m not re-creating the wheel every morning/evening. See how mine aren’t perfectly round … or perfectly anything? But, whatever, with a couple slices of ham tucked between a whole wheat English muffin … I think I’ve got breakfasts made for awhile. I put them in sandwich baggies and then a freezer bag so we can heat and roll. No, I don’t hate the Earth, yes I plan to reuse the bags and absolutely I’d love to find a better way to do it. Regardless of appearances, I do love knowing I have a bag full of pre-made, good for us breakfasts that were super easy to make. Thank you, Pinterest. 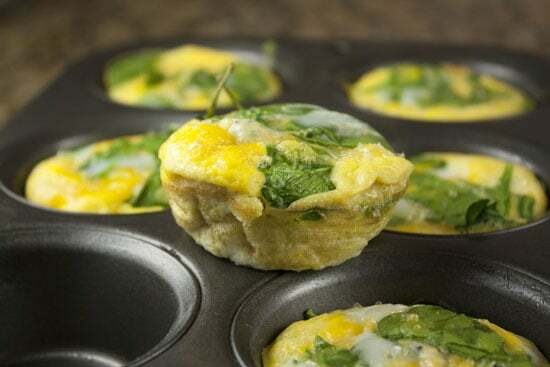 Next time I think I’ll toast the muffins and try the updated version with spinach … and as per her suggestion, I will try scrambling them. When readers subscribe to my blog it’s like getting a little hug in my inbox. Thanks for signing up to get these free updates from Nathalie’s Notes. 1) I’m the kind of person who can make simple complicated. But, I’m happy to share that a shift in how I spend my energy and money has lead to my working out a system for truly simple dinners that taste good, are generally healthy and not even a little bit gourmet, but work fine for weeknight “get ‘em fed” meals. Details below. Grain + Protein + Vegetable + Sauce = Dinner. Favorite sauce: When my computer broke, I had to use my trust old cookbooks and learned to make a white sauce … really, it was new information to me and has changed how I make dinner. Sam hates tomatoes. Every time he tries a bite, he still hates it. So learning to make and dress up white sauce has been huge for us. I add artichoke hearts, sundried tomatoes, kalamata olives, capers, sautéed onions, lemon juice … whatever. It’s been good every time. If anyone wants details or specifics, email me … when in a real hurry, melt butter, add lemon sauce and chopped up herbs, fresh if you can. Another thing I’ve been doing is saving myself steps and cents, even little ones, where I can … hence, the homemade taco seasoning packets. repeat into as many snack-size baggies as you’d like and stash in your pantry. I still wish dinner wasn’t every day … but I’m adjusting. I get these ideas … a half an hour of my life, gone. What do I have to show for it? A sticky, green mess and another story for my “not like the picture” memoir. Ever since I saw this cute idea for “Clever clovers in Family Fun magazine, I knew I’d be making them today. Above you can see evidence of my attempts as I acted out a real-life Amelia Bedelia in the kitchen story. I burned the white chocolate, tried to use peanut butter to “stick” the clovers together instead. It didn’t work. I couldn’t figure out how to use the stupid icing things and then decided to make my own icing and just ended up with more of a sticky, green mess. I finally drizzled them with the icing, sprinkled them with green and orange and walked away. I think I’ll stick to writing. Especially because the kids were just as delighted with a few drops of green in their oatmeal and clover-shaped toast with sprinkles. This is what leftovers can look like. Trust me, I wouldn’t know that if we weren’t doing this budget thing. Tonight I had $11 to buy whole milk for the baby, regular milk for Matt and Sam and soymilk for me, and coffee. (Cheap coffee and non-organic milk if you’re wondering). Leftover spaghetti noodles, leftover chicken, peanut butter, onion, ginger, garlic … see recipe below. What to make for dinner when you can’t just run out and grab something? I had a package of smoked salmon and eggs. We had scrambled eggs too recently. So I hit up Google: “easy recipes for salmon.” I must’ve clicked too many times because I web-wandered into a soufflé recipe. “Yeah, I’ll try that one!” I had the basic ingredients, what’s the problem? The problem, it turns out, is that with dinner hour being our Insanity Hour where everyone gets their crazy on I have no business cooking anything that requires “constant stirring.” But I was committed, I already separated the eggs. It was more quiche than soufflé, but all four of us liked it so there you go .. . In saucepan stir together chicken broth, water/OJ, soy sauce, cornstarch, curry, red pepper. Stir in peanut butter until smooth. Keep warm. In wok – heat oil, onion, garlic, ginger until onion is tender. Remove onion mixture and cook chicken in wok. add pepper if using one, cook until crisp. Stir sauce, chicken, onion mixture until thick and bubbly. Spoon mixture over pasta. Salmon Soufflé – click link for recipe. I did a lot different from the original recipe, which explains the unsouffleness, but I’ll try this again another day year. Cooking with Dora, Diego and my own little Naked Chef. At first glance this might seem rather, uh, unsanitary but we’re on our 3rd round of potty-training and this is what’s working so I’m cool with it. This week Sam picked this “Silly Face Salad” to make for Jake’s birthday dinner. 1. For dressing combine in a blender: orange juice, green onion, lemon juice and mustard. Blend until onion is minced. With blender running on low speed, slowly add olive oil. Transfer to a small container; set aside until ready to serve. 2. Cut carrots into small bite-size slices and/or use a peeler to create thin carrot ribbons. On 4 salad plates, place lettuce leaves and use carrots and other vegetables and herbs to make silly faces. 3. When ready to serve, drizzle with dressing. I saw this idea on a favorite blog of mine, Erin Goodman’s “exhale. return to center.” and wrote for permission to copy it to use here.She cheerfully said “yes” and told me that there’s a whole blog carnival thing on this site: We are THAT family about “Works for me Wednesdays.” Love it. I love reading tips and tricks about how people handle the most ordinary of things, so I figured I’d share some of mine in hopes that you join in with sharing some of yours. I’ve been making our own bread since I figured out how to use my machine. My friend Booker was over while I was carefully measuring and re-measuring my ingredients. He said his old roommate used to make bread every day but didn’t remember him being so careful with the measurements. Well, when you’ve made enough weapon loafs you learn to stick with what works. Later he told me that he remembered his roommate used to keep the dry ingredients pre-measured in baggies and that’s why it looked like he just dumped them in and pressed a few buttons. Genius. I wrote all I need to do on the bags and am good to go. With my little helpers it’s nice to cut any corner I can so we can still cook together without all the extra clean up time. Works great for scone mixes too. I’ve been pre-measuring the base ingredients and just adding whatever sweet thing to them and they are the bomb. Even with whole wheat flour. 2. Heat honey and oil and pour over dry ingredients. 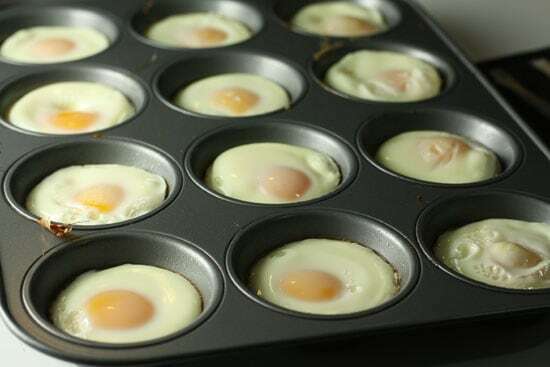 Mix well and flatten on a baking pan. 3. Bake at 325 degrees for 15-20 minutes. Cool and store in airtight container. Serve with milk substitute and/or fresh fruit. You can do this recipe with many different nuts, seeds, etc. I occasionally will add 1/2 cup of almond butter or tahini to the recipe to change it sometimes. You can also try brown rice syrup instead of honey. The botanical name for oats is Avena sativa. One of my favorite uses for Avena is as adrenal supportive herb. It can help increase energy and tonify the adrenals while still aiding in anxiety or irritability. That is what is so amazing about this herb. Because it supports the adrenals and energy production, it is an aid to balance the endocrine system. I also use it for people who have difficulty sleeping related to overactive mind or anxiety. Eating oats has also been known to help decrease cholesterol. Nathalie’s Notes: Mine turned out less “clumpy” than the kind we buy at the store, I need to figure out how to bind it together better because my next goal, after learning to make keeping our granola jar stocked, is to learn to make granola bars. As you might know, we’re changing up the way we handle our money so buying convenience foods like granola bars is coming off our grocery list. Which is both exciting and nerve-wracking. I Santa got Sam a Dora and Diego cookbook with the idea that he and I would pick one recipe to make each week, including getting the ingredients. Weekly might be ambitious but the goal is just to encourage him to be excited about cooking and bringing something of himself to the table. We used celery for our paddles because a) red peppers were crazy expensive and b) Sam won’t eat them. We made it for Matt’s birthday breakfast. It looks more like an appetizer than a meal, I know. We added bacon and extra scrambled eggs. Make whole wheat biscuits, scramble eggs with red peppers (or celery), add bacon (we added that, or add whatever you like). Top each biscuit with egg scramble mixture, add cheese on top bake for a couple minutes to melt cheese, make paddles with sticks of red peppers (or celery) and serve. Nathalie’s Notes: This seems quick. But don’t forget to factor in time to make the biscuits!